Secretary of Education Betsy DeVos sat down with Heritage’s multi-media news outlet, The Daily Signal, for an exclusive interview about the proper role of government in education. Secretary Devos explained the reality of the failing education system our nation has and what she is doing to correct it. What is the most important change that our education system needs? Because of your support, Heritage continues to host the leaders of our government to address today’s most critical issues. 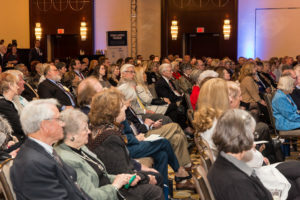 Thursday, Heritage hosted Admiral Paul Zukunft, Commandant of the United States Coast Guard, to discuss how he plans to protect America’s security in the coming years as the world becomes a progressively more dangerous place. The U.S. Coast Guard has a wide range of national responsibilities, from interdicting cocaine shipments and conducting search and rescue on the high seas, to enabling commerce and securing America’s ports. It protects and defends over 100,000 miles of U.S. coastline and inland waterways, and safeguards the largest Exclusive Economic Zone (EEZ) in the world. It is an asset for both national security and economic prosperity, serving as a law enforcement agency, military service and member of the Intelligence Community at all times. What do you think are the greatest challenges the Coast Guard will face in the future? In February, Heritage released the 2018 Index of Economic Freedom. And this past Monday, the Secretary of Commerce Wilbur Ross visited Heritage to discuss the Index with Heritage President Kay Coles James. This product has become a benchmark of Heritage research and is used by nations around the world to gauge the progress they are making. For over twenty years the Index has delivered thoughtful analysis in a clear, friendly, and straight-forward format. The Index is poised to help readers track over two decades of the advancement in economic freedom, prosperity, and opportunity and promote these ideas in their homes, schools, and communities. The Index continues to validate the belief that the amount of economic freedom a country has will directly impact their progress–or lack thereof. As a result of your membership, Heritage is able to provide a reliable benchmark for economic and market freedom for countries across the world. What are your questions about the Index of Economic Freedom and the United States’ standing? Nolan Peterson, foreign correspondent for The Daily Signal, Heritage’s multimedia news organization, will be speaking with officials at the U.S. Embassies in Berlin and Vienna next month. Peterson will offer envoys important insights on the war in Ukraine and why it matters to U.S. interests. Peterson has reported on the war in Ukraine since the summer of 2014, often from the front lines, and is the only U.S. correspondent permanently based in Ukraine. Peterson is a former U.S. Air Force special operations pilot. His reporting from the Ukrainian war zone has highlighted the unique nature of Europe’s only ongoing war; namely, its singular blend of trench and artillery warfare with modern “hybrid” elements, such as cyberattacks, weaponized propaganda, and ad hoc battlefield technologies, such as off-the-shelf drones modified for military use. As a full-time resident of Ukraine for nearly four years, Peterson also has had a front-row seat for Ukraine’s political and cultural evolution since the 2014 revolution. His reporting provides perspective on the status of Ukraine’s fight against corruption, its capacity to defend itself from further Russian aggression, and the overall cultural trends in the country that affect its viability as a more integrated European partner. “Nolan’s work goes right to the mission of The Daily Signal, which is to find the stories that are going unreported and give a voice to those who might not have an opportunity to tell their story,” says Ken McIntyre, senior editor at The Daily Signal and Heritage’s Guardabassi fellow in media and public policy. Thank you for making Nolan Peterson’s reporting and influence possible. What questions would you like to ask Nolan on his time in Ukraine? The members of the Heritage Legacy Society have shown their enduring love for America by making a commitment to safeguard our founding principles for future generations. The Heritage Legacy Society is comprised of members who have remembered Heritage in their wills, trusts, or other planned gifts. We are extremely grateful for their support and want to introduce you to one of our Heritage Legacy Society members today. Given his MBA and life-long experience as the chief financial officer of several major public and private companies, it’s no wonder Premier Associate and Heritage Legacy Society Member Norm Metcalfe takes issue with a Congress seemingly incapable of balancing a check book. 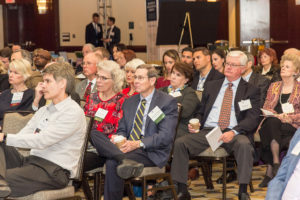 Fiscal conservatism first led him to Heritage more than 20 years ago, but his appreciation and understanding for all the work Heritage does—and more recently, Heritage Action—has grown exponentially. Please join me in thanking Norman for his commitment to preserving America for the next generation. Earlier this week, a caravan of migrants from Central America headed for the United State’s southern border with the intention of illegally entering. Heritage has an experienced team of experts who know well all the aspects of immigration and refugee policies. These experts are David Inserra, Ana Quintana, Hans von Spakovsky, David Shedd and Steve Bucci. Just as Heritage was the first think tank to create a homeland security team after 9/11, we are the first to pull together a team of experts on this migration crisis. Thankfully, as Heritage expert Ana Quintana reported, the crisis was averted when Mexico decided to vet these migrants and remove any illegally in the country. This is yet another example of the threat that our Immigration system faces and why we need to reform it immediately. Heritage released a detailed report last year on how the US Refugee Admissions program should be reformed. We will continue to work to reform the broken immigration system. What should be the top priority for immigration reform? A special message from Heritage’s president, Kay Coles James. Over the last several weeks I’ve had the privilege of traveling the country to meet with many of you in your hometowns. I’ve traveled from coast to coast and been reminded of the greatness of the American people. The more Heritage members I meet the more inspired and encouraged I am to continue on in this fight to reclaim America. 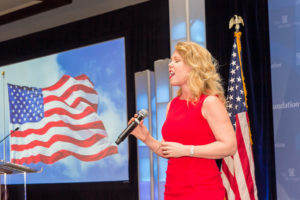 As I mentioned to those of you who attended the events, I wake up every morning excited to work at a place that allows me to lead the fight for the conservative principles you and I hold dear. It is people like you that truly make this country the greatest nation in the world. I’ve included a few photos from the events below for your enjoyment. I hope to meet you in person at one of our next events or at our office in Washington, DC whenever you are in town. Were you able to attend any of the regional events? 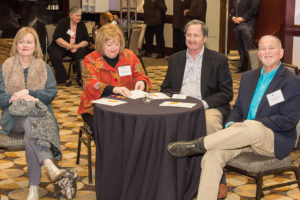 Would you like to attend more regional events in the future? Last weekend, thousands of people traveled to Washington, DC to participate in a march against school shootings. Their solution to the issue of school safety is to increase gun control. The Daily Signal’s Genevieve Wood talked with participants of the march about what they thought should be done to solve school violence. Later, Genevieve joined Fox News to discuss school safety policies. Heritage is continuing to lead the fight on this critical issue. What should be done to increase the safety of our schools? 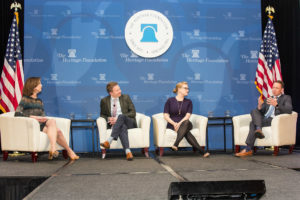 Last week, Heritage’s news site, The Daily Signal, continued it’s rise above the Mainstream Media by gaining exclusive access to the White House’s Generation Next event for millennials. This event was focused on preparing the Millennial generation to enter the work force as qualified, productive workers. 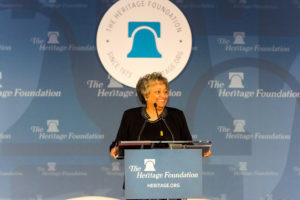 This is a mission that Heritage is in alignment with and works on through our Young Leaders Internship program and our Congressional Fellows program that prepares young conservatives for their future careers in the conservative movement and the public service spheres. It was an honor for us to be the media outlet the White House chose to share their message on millennial outreach. The team interviewed several White House officials, including Ivanka Trump, Kellyanne Conway, Mercedes Schlapp, Labor Secretary Alex Acosta, and HHS Secretary Alex Azar. What are your thoughts on how conservatives can reach more young people? Last Friday, Congress pushed through an enormous spending bill that added 1.3 trillion dollars to big government priorities. The 2,300 page bill was released publicly less than twenty-four hours before it was voted on and is a great example of the broken system in Washington. Heritage spending experts laid out what to expect in this bill in their recent report titled “The Good, Bad, and Ugly of the Fiscal Year 2018 Omnibus Appropriations Act“. Originally, Obamacare bailouts were going to be included in the omnibus package. But thanks to Heritage and Heritage Action’s work on this issue, the bailouts were removed from the final spending bill. This is a huge step forward because it will force Congressional Republicans to return to repealing and replacing the failing healthcare law. Thank you for enabling this victory and rest assured we will continue to move forward to fully repeal Obamacare. What should be done to decrease government spending?